You don't have to tolerate foul-tasting water, bad odours and stained laundry and fixtures anymore! 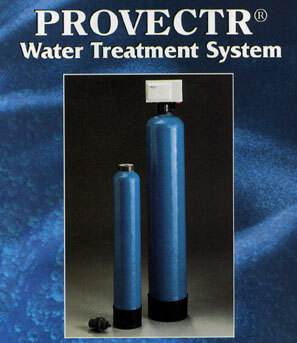 The PROVECTR Water Treatment System removes sediment, iron, manganese and sulfur from your water. Your water will be fresh and clear, your plumbing fixtures will be free of rust stains and your clothes will look brighter. How Does the Provectr Work?